When a car gets a puncture, most of the time it won’t be a violent one. Yet when a truck gets a puncture, there’s a 50 per cent chance of a complete blow-out. A blow-out is when a tyre bursts and the air within it escapes immediately. This is an explosion, and it can be so powerful that it can flip a car upside down. It isn’t powerful enough to flip a trailer, but it is powerful enough to throw it off-balance. When this happens, a truck will swerve to one side and probably hit the central or side reservation of a motorway. This causes absolute carnage and long traffic delays. Of course, they key consideration you should have if you experience a blow-out is your safety, followed by the safety of everybody else around you. 1. 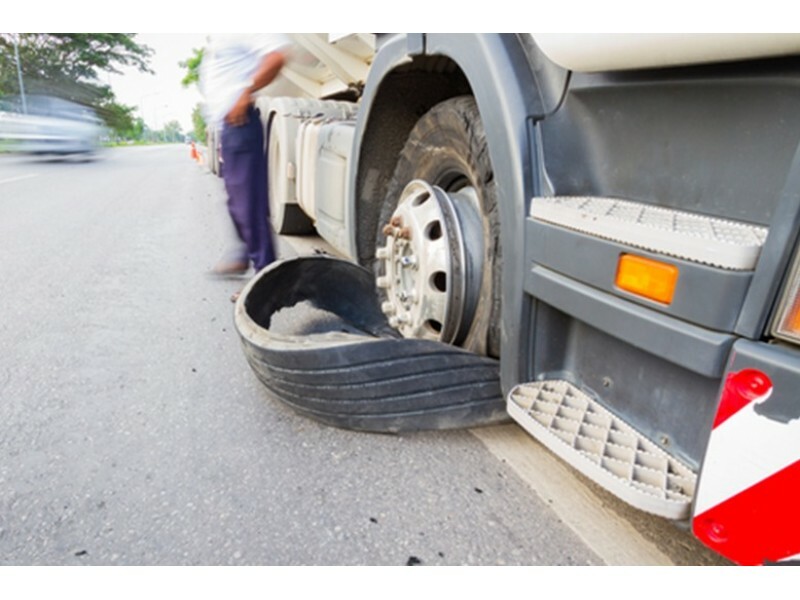 Regain control: When your tyre blows, your truck will swerve. Take back control by grasping the steering wheel with both hands, taking your foot off the accelerator, and steer against the explosion with medium force. If you are too forceful with the steering wheel, you might lock the steering which will be counter-productive. 2. Don’t hit the brake: If you hit the brake after a blow-out, there’s a chance you might make the force pulling your truck to the side stronger. If you must hit the brake, then do so lightly and let the engine do most of the braking for you. 3. Aim for a clearing: With one less contact point (tyre) on the road, it is going to be harder to steer your truck where you want it to go. Most of the time, this will be a run or a hard shoulder. If you can’t make that, then steer your truck into a clear lane whether it’s the middle lane or the fast lane. Your aim should be to stop safely. 4. Put on your hazard lights: Hazard lights improve the visibility of your truck to other road users, and particularly at night. They aren’t perfect safety devices; however, they will alert other road users to a danger or hazard. 5. Call the emergency services: Depending on the aftermath of your accident, you should either call the emergency services (ambulance and police), or the Highways Agency. The Highways Agency should be alerted to any obstruction on the motorway even if you steered onto the hard shoulder.